Most of the time marketing is the key to success. Businesses promote their product in a way almost no-one can resist. But today I am going to show the biggest marketing fail in the history of marketing, you might (or might not) have heard about.That thing, is Fyre Festival. The Fyre Festival Promotion video. 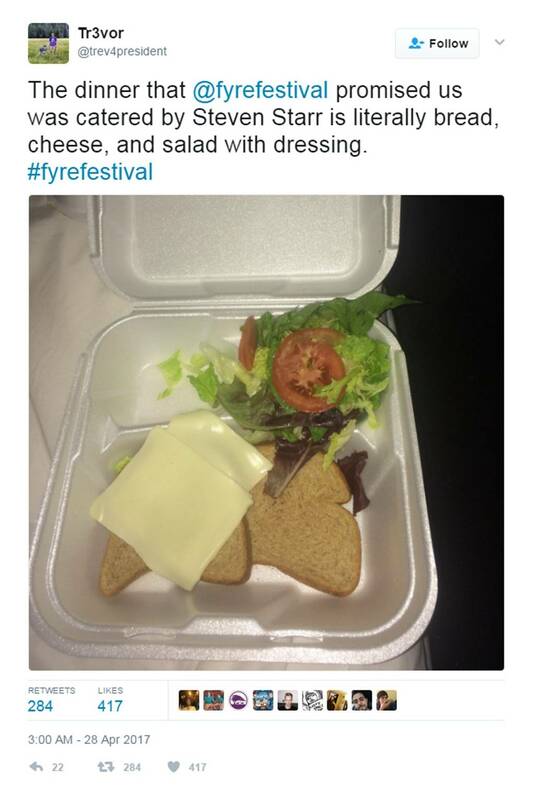 For those who have never even heard of Fyre Festival, this brief explanation is for you! Fyre Festival was promoted as the ‘hottestevent of the century’. Two young entrepreneurs bought an entire island in the Bahamas and they were planning on throwing the most epic festival ever on their property. It was described as an ‘immersive music festival’. Besides that, they arranged a host of super models to promote the festival and everyone was completely hyped. The guests were told that they would fly to the party area in a private jet to get the ‘full VIP experience’. They also promised girls, gourmet food, luxurious villa’s and the best artists in the world. Everything seemed tooperfect to be true, and that is exactly how it turned out to be, tooperfect to be true. So the marketers of the festival did quite a great job, they had the most well-known models promote their festival and they even threw a ‘pre-party’. Tickets were sold with prices up to $250.000. And the whole festival sold out. But then,the day of the festival arrived. Guests were hyped and everyone hoppedon the planeexpecting a couple of days in complete luxury. But when they arrived actually none of the things that were promised were actually there. Only 500 people actually made it to the Island, andthe remaining flights were cancelled. The people who did arrive at the Island wished they never had. They arrived not in a private planebut in a (way to small) school bus. The promised villa’s? They never even existed. The guests were dumped in (survival) tents and to make it all even worse, everything was soaking wet because of a massive amount of rain fall. There was no electricity, there were no artists and all the models that were supposed to come cancelled. It was a complete disaster and there were not enough tents for all the guests. It turned out to bea nightmare:people stealing matrasses from each other, because they couldn’t see a thing. Even worse, they couldn’t get off of the island because there were no flights. The mastermind behind Fyre Festival is now accused for being a fraud and it can cost him millions of dollars. How could such an event turn out to be such a failure?Well,a short answer would be:the mastermind simply did not have enough money to provide all the things that he did promise. In the end all his employees quit because they didn’t receive their money. There was simply not enough place on the island to build all the promised villa’s. And the worstthing is: the mastermind knew all along that the festival would turnout the way it did. Good leaders admit when they make mistakes. The money will eventually run out. Don’t overdo yourself. Help, I am going to study abroad!